This is a guide to the Hebrew Bible unlike any other. Leading us chapter by chapter through its most important stories--from the Creation and the Tree of Knowledge through the Exodus from Egypt and the journey to the Promised Land--James Kugel shows how a group of anonymous, ancient interpreters radically transformed the Bible and made it into the book that has come down to us today. Was the snake in the Garden of Eden the devil, or the Garden itself "paradise"? Did Abraham discover monotheism, and was his son Isaac a willing martyr? Not until the ancient interpreters set to work. Poring over every little detail in the Bible's stories, prophecies, and laws, they let their own theological and imaginative inclinations radically transform the Bible's very nature. Their sometimes surprising interpretations soon became the generally accepted meaning. These interpretations, and not the mere words of the text, became the Bible in the time of Jesus and Paul or the rabbis of the Talmud. 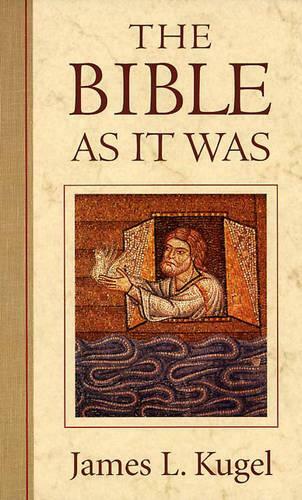 Drawing on such sources as the Dead Sea Scrolls, ancient Jewish apocrypha, Hellenistic writings, long-lost retellings of Bible stories, and prayers and sermons of the early church and synagogue, Kugel reconstructs the theory and methods of interpretation at the time when the Bible was becoming the bedrock of Judaism and Christianity. Here, for the first time, we can witness all the major transformations of the text and recreate the development of the Bible "As It Was" at the start of the Common era--the Bible as we know it.